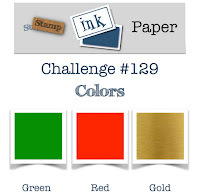 Tina's Crop Shop: SIP Challenge #129 - Red, Green and Gold! Hello and Happy Tuesday! It's getting dangerously close to Christmas... are you ready?? I'm feverishly trying to finish my tags and cards! I should have already had them mailed out but I'm close to it... I promise! This week's Stamp, Ink, Paper Challenge gave me a chance to get another card made. This week is all about Red, Green and Gold and how Christmasy is that??!! This week's card is so simple that I honestly feel a little bit guilty. I love when I can use up some of my stash of patterned paper! I used the Stampin' Up! Good Tiding Stamp Set for the sentiment... I absolutely adore this sentiment and the size of it! I stamped it on thick Whisper White Cardstock and used a Stitched Shapes Die to cut out the Circle. I used the Layering Circle Framelit Scallop Circle in Gold Cardstock to matt the stitched circle. 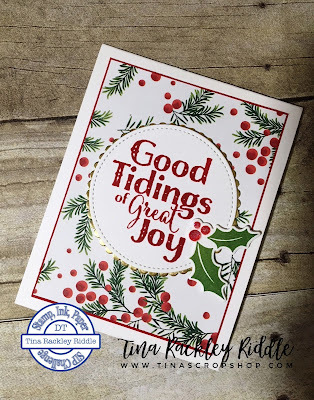 The holly on the edge of the circle is from the Gina K Designs Merry & Bright Card Kit. 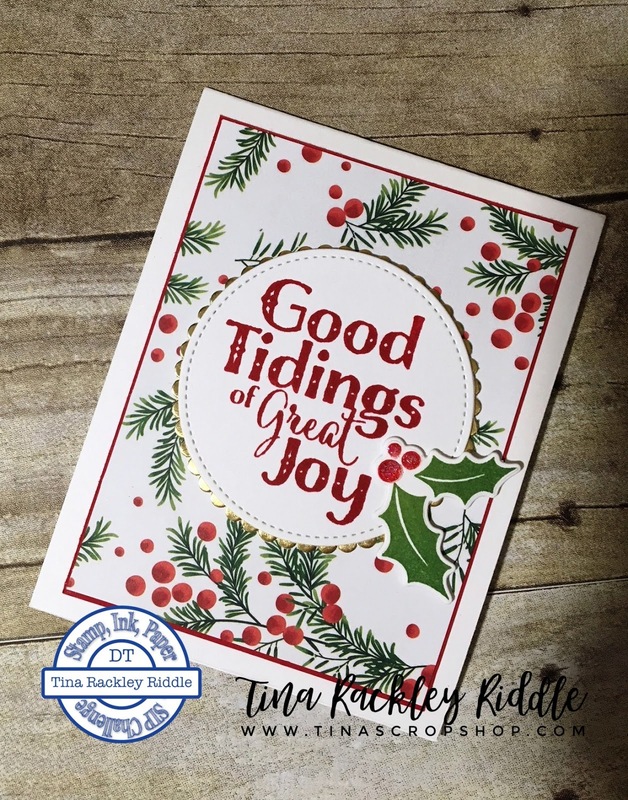 The patterned paper in the background is from Fun Stampers Journey.